Dedicated to the celebration and protection of the heritage of Welwyn Garden City, this website provides a rallying point for all those interested in its heritage. 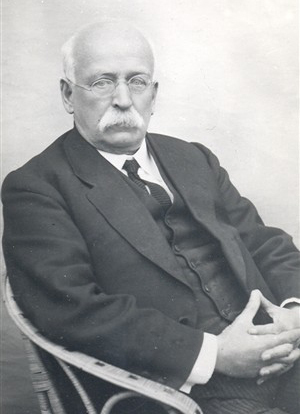 The trust is the sole UK representative in a European project aimed at rekindling the garden city movement of Ebenezer Howard, pictured here. In September 2010 the Welwyn Garden Heritage Trust launched the Where Do You Think You Live? Project with the aim of promoting the history and development of the town. Comprising of three elements the project involves the collection of oral memories from older residents; the opportunity for all residents to become “House Detectives” and research the history of their homes; and a photographic element encouraging contemporary photographs to be taken on the themes of “My Neighbourhood” and “My Favourite Place in WGC”. This page was added on 27/01/2010.